The Arduino Ethernet shield is pretty awesome and can, for example, allow a mini webserver to run off the board displaying sensor data. Although not outrageously expensive, at $45, it’s still $15 more than an Arduino Uno itself. 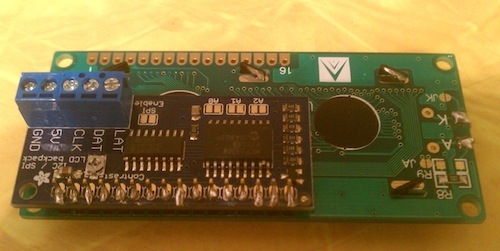 There does seem to be quite a bit of functionality that you can do with it, especially as the official Arduino Ethernet shield includes a micro SD slot allowing to read + write data to card, but for my tinkering right now, it’s a little too much money. 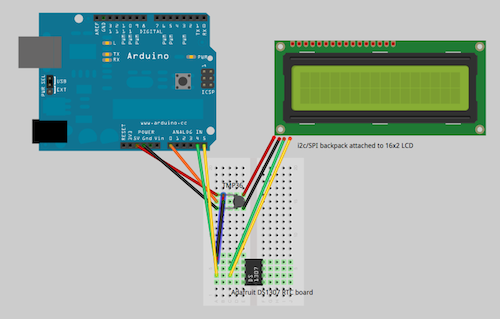 But, it would be cool to at least look at how to push data from the Arduino out the Internet, and so I started looking around at ways to utilize the USB connection and have the computer the Arduino is connected to act as a go-between. Cue some fun python libraries. The setup entails using pySerial to monitor the USB port and read in data printed to the Arduino serial port, and then python-twitter to push that data out as a status update to twitter. 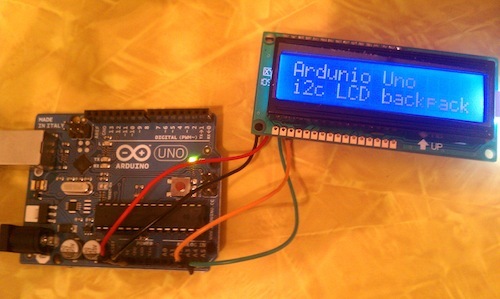 This was all based off an awesome post from Brad Wells on using Arduino to Twitter over USB. Now we need to get twitter ready. The python script uses the twitter API, so it requires you to register your own application in order to get the access tokens needed to function. Most people create a separate twitter account specifically for the Arduino to tweet to (the entry in the Arduino playground for tweeting using the Ethernet shield has you running through an external service to pass the tweet, so you probably shouldn’t use your primary account), and when registering your application at dev.twitter.com, make sure you’re signed in to twitter using this dedicated Arduino account. After registering, your consumer key and consumer secret key are immediately provided – click on ‘My Access Token’ to gain the access token and access token secret. within setup(). All you need to do is initialize a 9600 baud serial instance and then print out a line. Whatever your print out to the serial port is what the python script will read in and tweet. Make sure you compile and upload the sketch to your Arduino before you run the python script – as you have python monitoring your USB port to watch for the serial output, you can’t then upload via USB to the Arduino. Once you sketch is uploaded, you can fire up the python script and then hit the reset button on your Arduino. The python script will just sit at the command line, watching for messages sent out to the Arduino’s serial port. If you check your twitter feed, you should see your tweet 🙂 You can easily expand beyond simply printing a line of text to reading in data from sensors and have that included. It would definitely make it more useful, and within the python-twitter library, there are functions to also monitor twitter updates and send data back to the Arduino. That’s something I haven’t quite figured out yet, but is definitely an appealing feature! Something somewhat useful, and the main reason I started playing the the DS1307 real time clock, was to be able to accurately control events based on the current time. In the same way you can get a simple plug-in timer to turn on or off an appliance depending on the time, I wanted to be able to do the same with the Arduino. I wrote a fairly wide-ranging RTC timer sketch that I posted to Github that will allow you to execute a given block of code or function based on a start and end time that you specify. Although the default sketch is simply turning on and off an LED connected to digital pin 2, there’s probably a lot of situations beyond just turning a light on or off that this could be used for. I figured that if I was going to end up building some kind of aquarium controller / monitoring system based around the Arduino, I’d need a way of keeping track of time. Either to automate certain events like turning lights and off, or simply to log the time temperature readings we taken, I’d like something more advanced that milli() built in to the Arduino to track time since it was last turned on. Plus, if the power goes out (we lost power for a few hours on Monday after a big storm came through…), then I’d have to tell the Arduino to reset it’s time and calculate afresh when it needed to carry out certain events. There’s a few basic little circuits built around the DS1307 chip that act as a real time clock – I went with this little kit from Adafruit. It only took 5-10 minutes to assemble and solder, and then I had fun playing with outputting various time formats to the serial monitor and calculating dates in the past and future. Ultimately, I wanted to hook it up to the LCD screen though. It was a pretty cool set up, though it was kinda annoying that there’s nothing built in to Arduino or the RTC library that allows for a leading zero on the time if only a single digit is present, such as 7 seconds when on a clock it should ideally display 07 seconds. A simple if (now.second() < 10) lcd.print("0"); checks if the value returned from the RTC requires this leading zero and outputs it to the LCD before the actual time value. The code and circuit schematic for this little project is available on Github at Arduino-LCD-time-temp, and I guess is the first little program beyond basically copying and pasting example code that I've written. 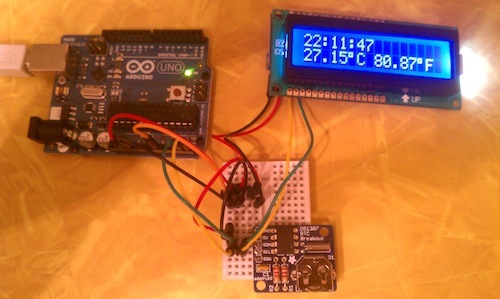 It was largely based on the DS1307 RTC tutorial by Ladyada along with her TMP36 temperature sensor tutorial. The Ardiuno forums also had a good few little snippets on how to write out the degrees symbol both to the LCD and to serial when I was testing, and different methods to write out the leading zeros when dealing with time. With college classes done for the summer, I’ve gotten back in tinkering with electronics a little. I had trouble with my Basic Stamp 2 after bouncing around Alaska and being boxed up for a couple of years, so I decided to try tinkering with an Ardunio, something I’ve looked at for a while but never had time. I’m currently in the process of cycling a 55 gallon freshwater aquarium (something else I’m very excited about! ), and have some cool ideas for building a basic monitoring system that can keep track of water temperatures, control lights, and provide a status report and XML feed or something for use elsewhere. So, I picked up a cool Arduino Uno. This was all based on the awesome tutorials from Ladyada on connecting the i2c backpack and writing characters to an LCD. There’s a wealth of awesome info and tutorials, and a great starting place for components and code ideas 😀 I’m looking forward to playing around with the temperature sensors and battery powered real time clock over the next week or so.